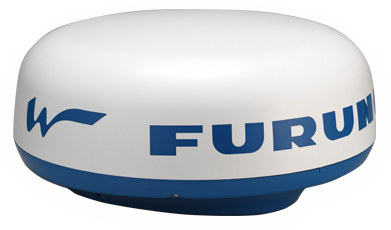 1st Watch Wireless Radar (DRS4W) - 4kW Output - Access from iOS devices, GP1971F or GP1871F and19 inch Radome. 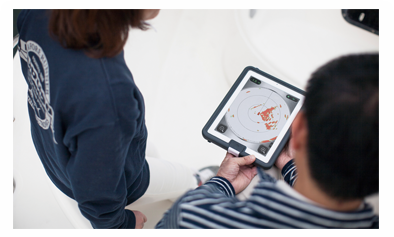 Introducing the world’s first wireless Radar that you can access directly from your iOS devices! With the new FURUNO 1st Watch Wireless Radar, you can do things previously impossible. Bring the Radar display wherever you go, even put it on the iPhone in your pocket. Since the display is untethered, you are free to roam the vessel while maintaining full situational awareness of your surroundings. For example, you can bring the Radar display with you when jumping into the cabin quickly to grab fishing gear or other tools needed during your voyage. 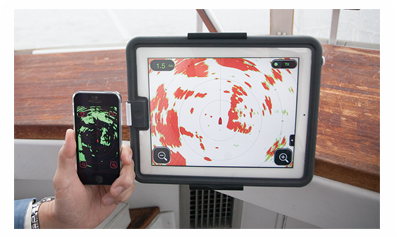 Plug in the Radar, set up the free app from App Store and you're good to go. With familiar gestures it's a breeze to use; you can even use two iOS devices simultaneously. The app has been created with simplicity and efficiency in mind, providing reliable information that is easily accessible. Quickly and easily set up a custom guard zone and the DRS4W app will alert you when a Radar target enters the zone. Please note that iOS devices and their accessories are sold separately and do not come included with this product.